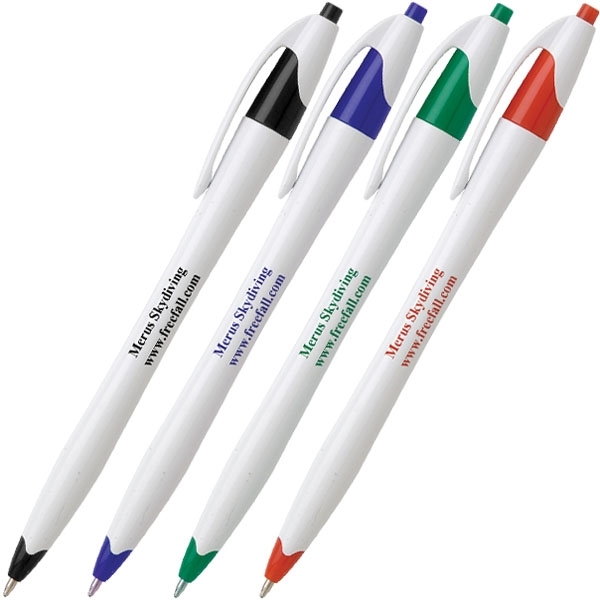 Ballpoint click pen with contoured shape. White barrel with Magna-Imprint™. Black ink. Ship Weight:2 lbs, Ship best way available via UPS or LTL Carrier if you do not designate a specific carrier and/or method. Most orders over 150 pounds will be shipped by truck LTL.